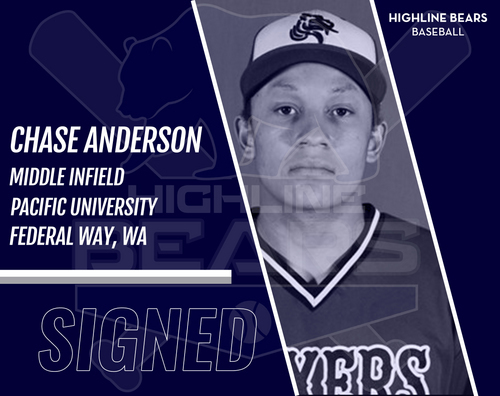 Chase Anderson is fresh off his first season with the Pacific University Boxers and prepared to start his first season with the Highline Bears. Anderson went to Fife High School and is from Federal Way. Anderson had the third best average on the Boxers batting .300 and reached base 42% of the time. He also boasts a .953 fielding percentage after a season primarily in the middle infield.